2. Disconnect door mirror remote control switch connector. 3. Check door mirror remote control switch. 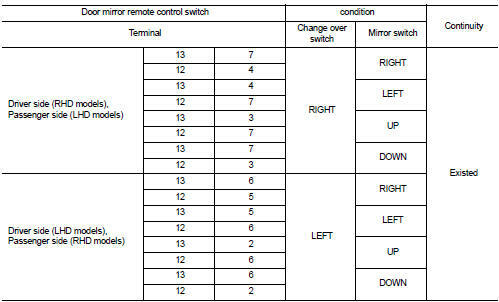 NO >> Replace door mirror remote control switch.